Do you ever find yourself sitting down just wanting to create? Not anything specific, but just being creative. 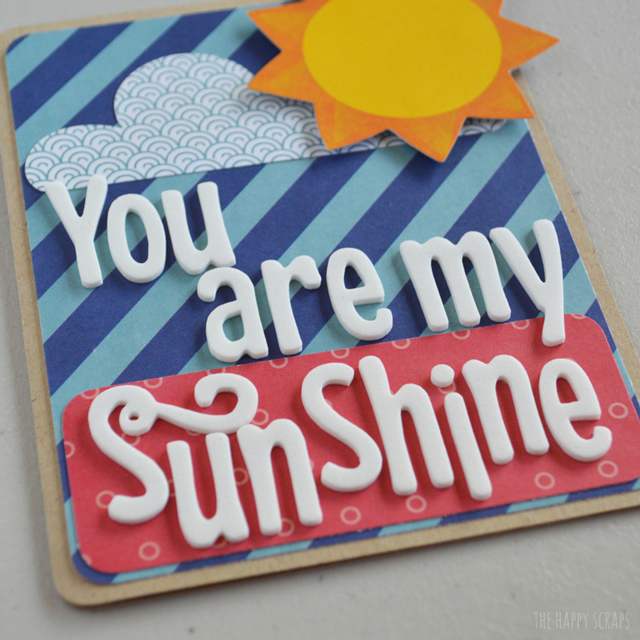 When I sat down to make these cards (that I previously shared on the Pebbles Inc. Blog) I just wanted to create. I didn’t have any direction for what I was creating. In my opinion, that is one of the best ways to create! 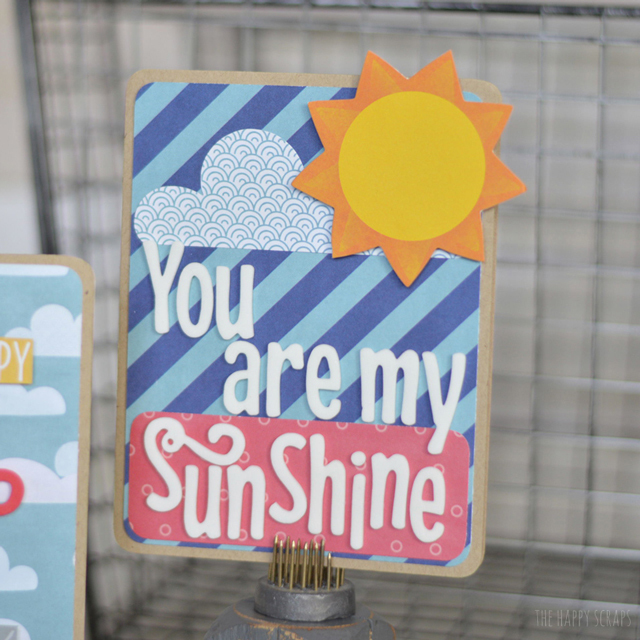 Today, I’m going to walk you through making these You Are My Sunshine cards yourself. 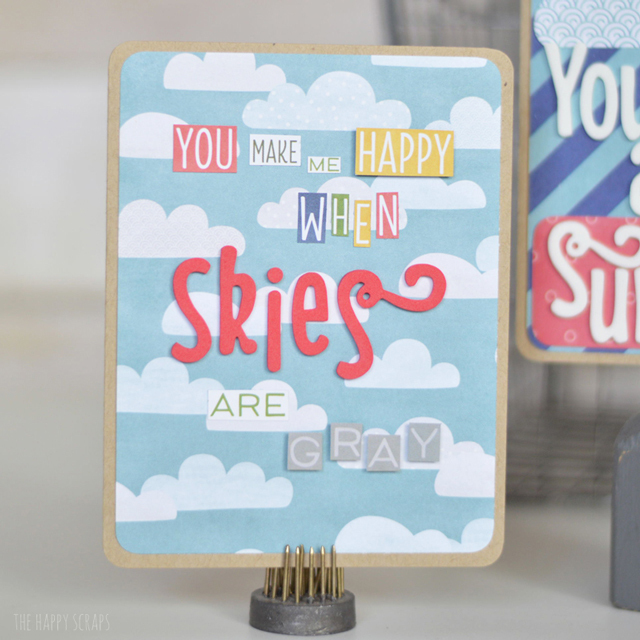 For both of these cards, I used the Home Grown Collection with chip embellishments. 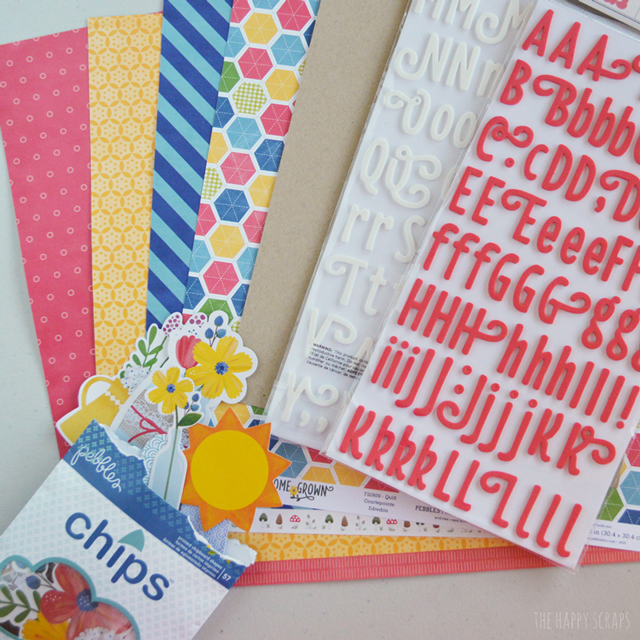 Aren’t the colors in this line so fun and vibrant? 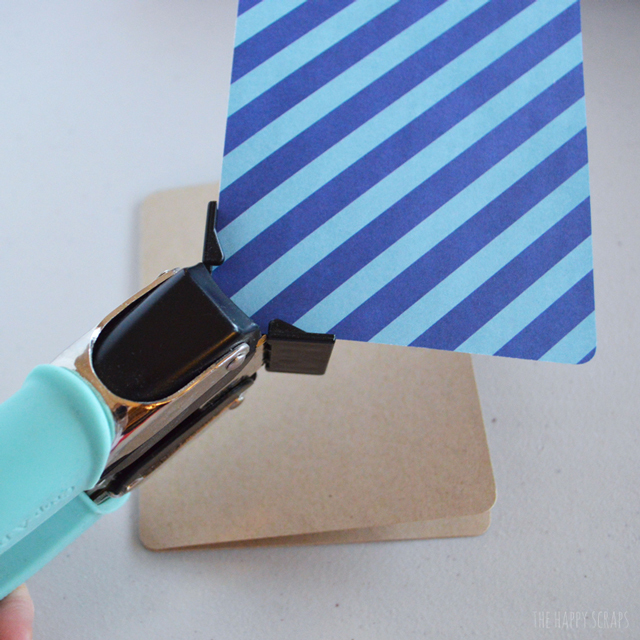 I used an 8.5 x 11 piece of Kraft cardstock, cut it in half, then folded the two halves to make two card bases. 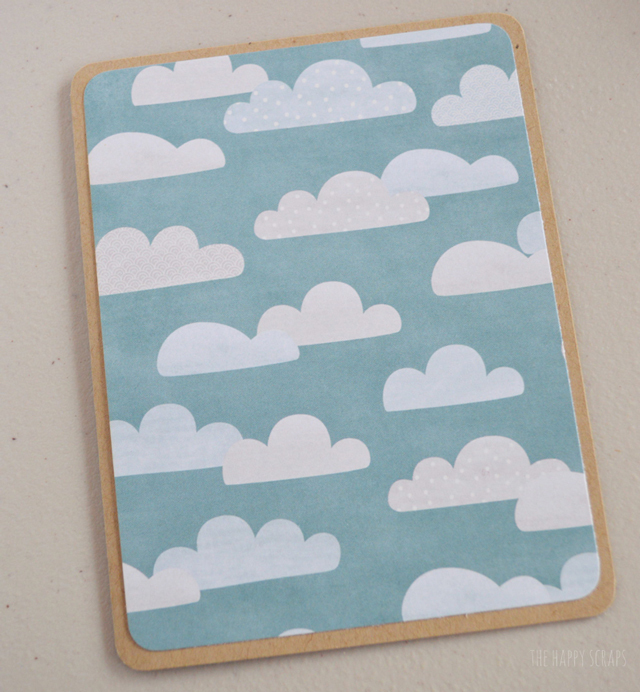 Next, I cut some patterned paper, just smaller than the card base, 4 x 5.25. 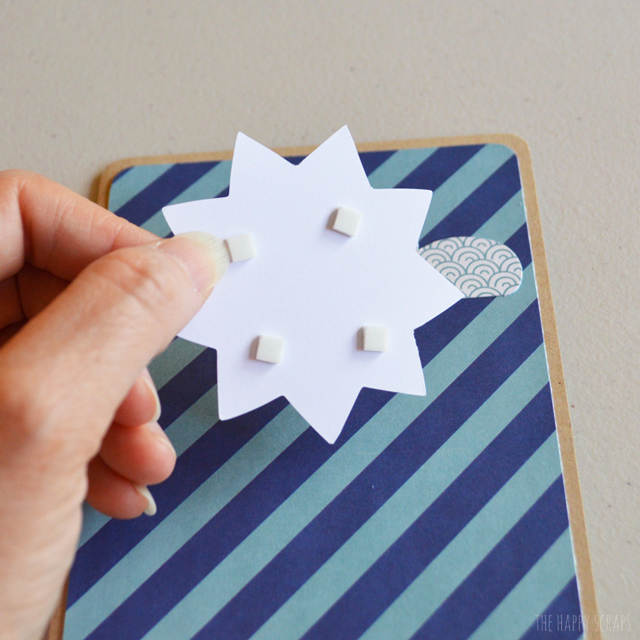 Using my corner chomper, I rounded the corners on both the card base and the patterned paper. 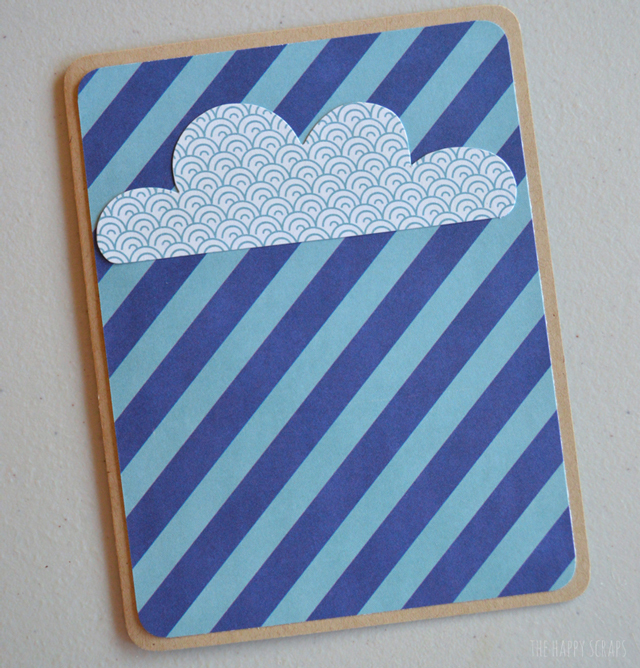 Using adhsive, I adhered the patterned paper to the card base, and used one of the cloud shaped chips and adhered that to the card as well. 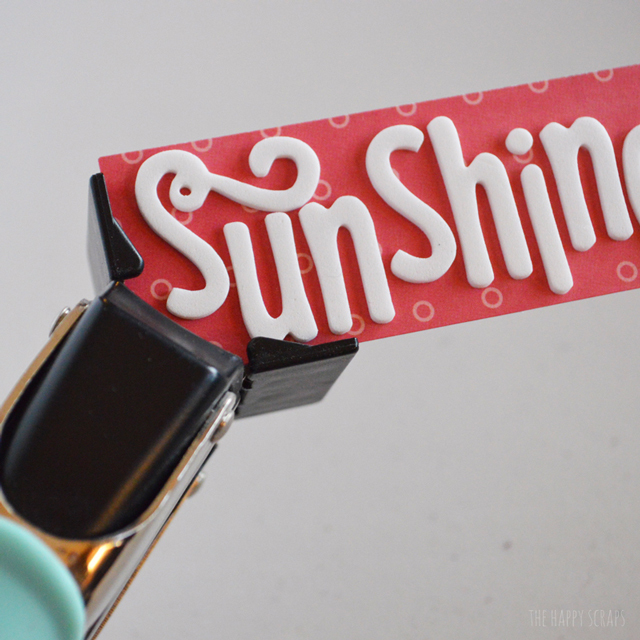 I spelled the word Sunshine, using thickers, onto the red polka dot patterned paper. I trimed the edges leaving a small border, and then I rounded the corners on it as well. 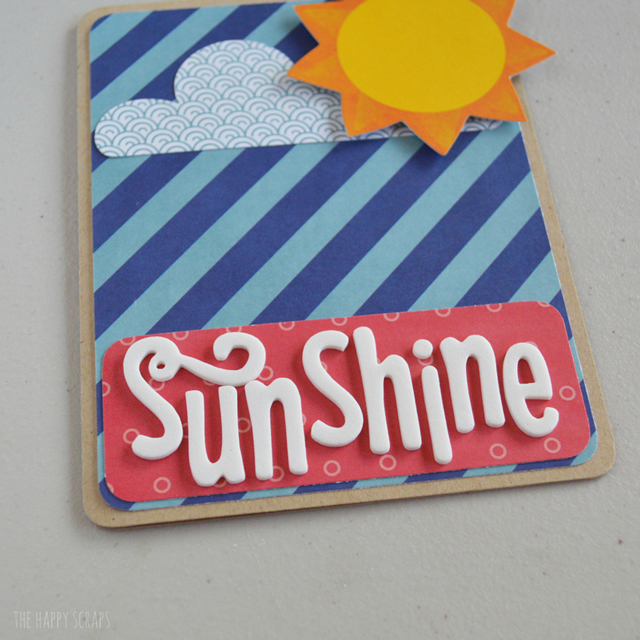 I adhered the word Sunshine to the bottom of the card. 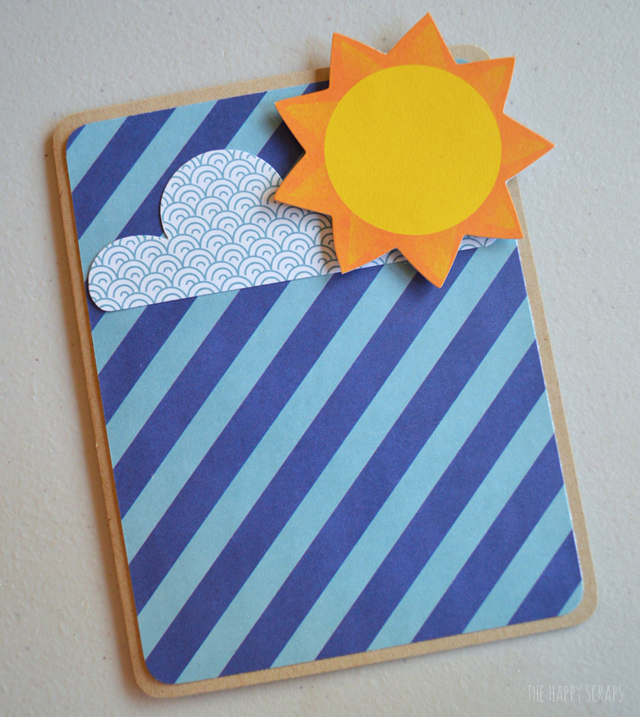 You can have a couple of cards made in no time, so sit down and create something today! 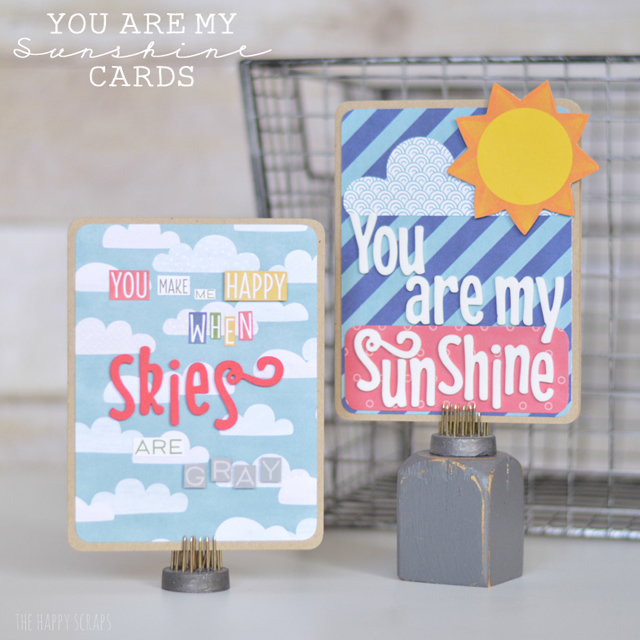 Cute Cute cards ! 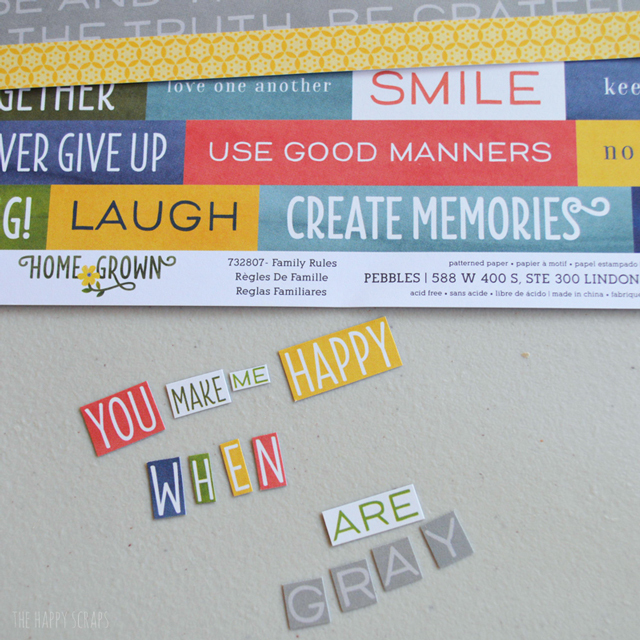 Love the way you did the words on the You Make Me Happy……. card.